There is something about knowing the people at the establishments you visit on a regular basis. It is one thing to simply be greeted with a smile or a “welcome, how are you today?” those things can come off flat and lifeless. But when you walk into a room and you are greeted instead with “HEY! How are you!? Good to see you! Whats new?” it makes you feel like you belong… like you are home. Drew and I had that back in Grand Rapids and we will eventually have it out here (though I’m not really sure how, there are so many damn people!). We had relationships with bartenders, servers, baristas, and shop keepers all over town. We had places that we visited ritually because they were another thread that ran through our lives and it would have felt wrong not to visit at least once a week. Snow falls in gentle waves outside the cold, frost covered window. The hum of the espresso grinder is out matched by the sound of happy voices floating through the air, it’s electric. Friends greet friends with hugs and warm smiles. 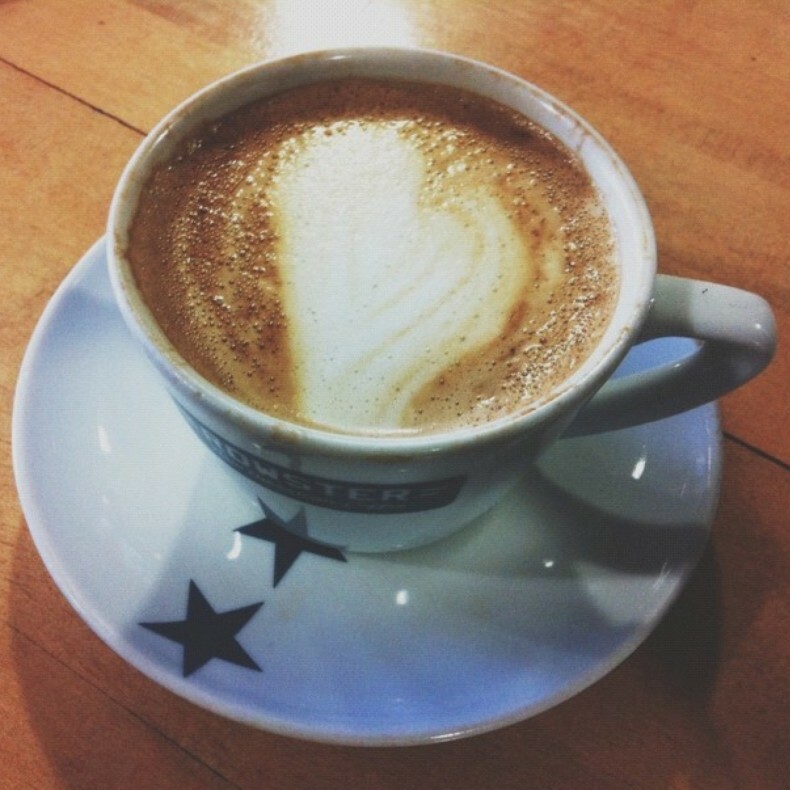 Hearts are filled as coffee cups are emptied over long conversations. The smell of coffee being roasted and brewed is intoxicating, it pulls you in and wraps you in its fragrant arms. Drew and I are perched at the counter, laptops open, hands poised, fingers unmoving, taking everything in. 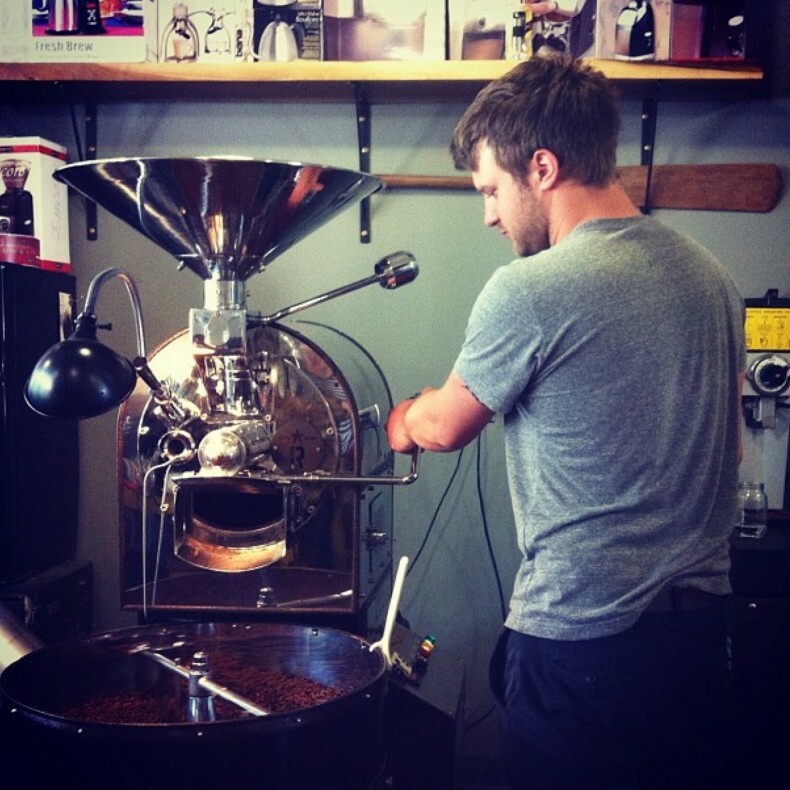 Stephen and Andy are hard at work, grinding beans and pulling shots to perfection. We sit distracted, talking with them as they work, reminiscing over life and talking excitedly about projects that are happening or the latest blend they have created. We have only been sitting at the counter for minutes before our coffee is set in front of us, we no longer have to oder, Stephen and Andy know us far too well and place the steaming cups next to us. We stay for hours; typing, sketching, working, and talking, all the while friends filter in and out, hugs and conversations shared, moments well spent. Every Saturday you could find us there. Patiently waiting with dozens of other hungry patrons for a taste of the very best, most tasty, most made with love meal you could ever have in your life. The air smells of warm bread and is perfumed with spice. Tables full to capacity, the deli lined with people picking up orders or selecting dishes to go from the tempting display cases. Smiles spread like honey across ever ones faces as Marie passes out treats to those waiting in line. You can feel her love, dedication, and passion in each piece of every meal and every person who crosses her path. Zach seats us at the bar across from the cook line, it’s our favorite spot in the whole restaurant, after all it’s where the action takes place. We watch as the cooks harass each other, working feverishly to get all of the orders out to a packed house in a timely fashion. Joy smiles and says hello, asking us how we have been and what we have been up to, and then brings us coffee and menus, though she knows we don’t need them. We sit talking, to each other and with the staff, all of them our friends, stopping by our spot at the counter to say hello. When the time comes to leave, a chorus of farewells fallows us out the door. “See you next week” they say, we turn and wave, our stomachs full and our hearts smiling. Snow crunches under our heavy boots as we walk the short distance from our apartment to Martha’s. The city is calm, the evenings grow dark early and the sky is speckled with stars as we watch the clouds of breath float heavenward, spiraling in dissipation into the night. As we turn the corner we can see the soft warm glow pouring out from the large front windows of the delis cold brick exterior. Snow is gathered on the awning overhead as we open the front door, a bell announcing our arrival. Ben and Loren look up and smile, “Hey guys!” we stop by the counter for a moment and then find our way through the tall racks. Shelves are stocked with treats and essentials, everything from toilet paper and eggs to chocolate from around the globe. They have fresh baked baguettes from the bakery next door and the deli case is filled with every kind of decadent temptation, the smell wafting through the store is enough to make your mouth water and your stomach growl in anticipation. The old hard wood floors creek under foot as we wind our way through the stacks of wine. Shelves from floor to ceiling line the walls, tall ladders on rollers are braced, ready to take the more daring of wine drinkers to their exotic plunder. Every region, every vintage can be found in this one place. We make our selection and place it on the counter to pay. Ben asks what we are up to for the evening, Loren asks us about Mad Men. We talk about our various plans for the weekend and ask if we will be seeing them out for New Years. On our walk home our cheeks glow, the warmth and wonderment of that little shop staying with us as we venture out into the cold.